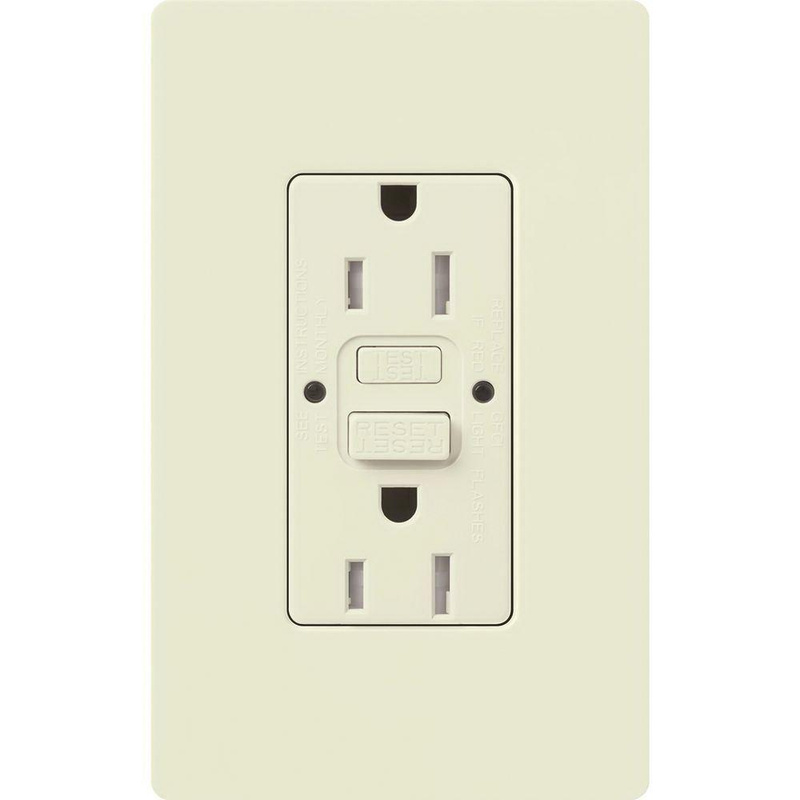 Lutron Tamper-resistant self-test GFCI receptacle in biscuit color, has current rating of 15-Amps and voltage rating of 125-Volts. This receptacle has back-wired connection. It has plastic construction. It withstands temperature range of -35 to 66 deg C. Permanently installed internal tamper-resistant shutter mechanism resists insertion of foreign elements into the device. It has internal back-wiring clamp and guide pocket ensures quick and dependable termination. It measures 2.94-Inch x 1.47-Inch x 4.69-Inch. It has 95% maximum humidity. Receptacle is UL listed, CSA certified and meets NEC/CEC/OSHA/NOM standards.